It’s not nice to keep secrets. And someone needs to tell Agent Hand at “The Hub”. It’s not nice to keep secrets. And someone needs to tell Agent Hand at “The Hub”. She doesn’t feel as if Agent Coulson and his team needs to know about all the important aspects of a mission, such as how they’re going to retract Ward and Fitz. Whether or not Sky and Simmons can get the intel they’re looking for to rescue them, or if we really should trust the system, or if Fitz gets to enjoy his sandwich, Coulson will make sure the team will always be there for each other. Jay and Josh will get into all the highs and lows as they discuss this week’s Agents of S.H.I.E.L.D. Download now, to decrypt the data-stream directly to your MP3 player! 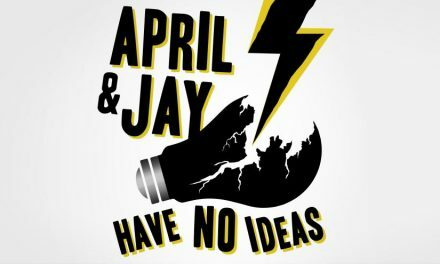 April and Jay Have No Ideas Episode #40: B.D.E.